Developer Barış Atalay from Turkey has released a component which will parse and load a Youtube video in Delphi XE7 Firemonkey on Windows and Android. It does not use the Youtube API so it is an unofficial component. What the component seems to do is hit the Youtube URL and find the MP4 file URL. It then can download the video file in a separate thread and save it out to a file. On Windows it simply does a ShellExecute launch of the MP4 file and whatever video player you have setup will be launched. On Android it launches an Intent which should load a dialog where you can choose what video player to play the file with on Android. The component also show some other information about the video like Title and length of the video. Lastly it lets you choose the video resolution of the file prior to downloading. The component utilizes the XSuperObject JSON parsing library to pull out the information from the Youtube page. This component should work with Appmethod as well. 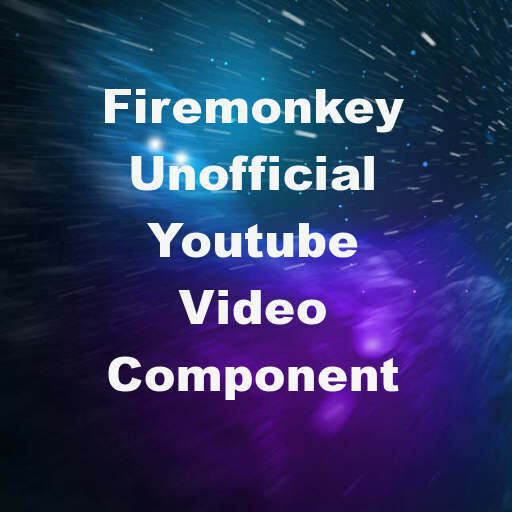 Head over and check out the full blog post about the unofficial Youtube component for downloading and viewing a Youtube video in Delphi XE7 Firemonkey. Or head directly to the source code and demo code for the unofficial TYoutube component for Delphi XE7 Firemonkey.